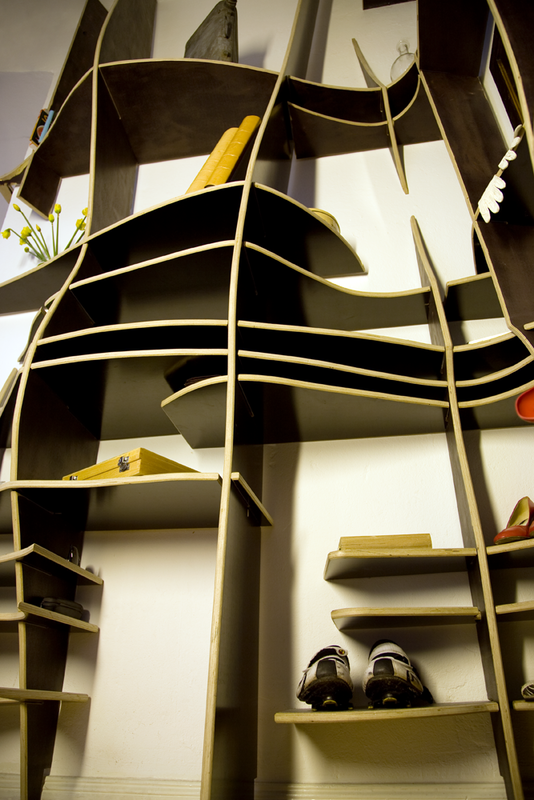 The Freeflow Shelf is a custom-built and site-specific shelving unit. 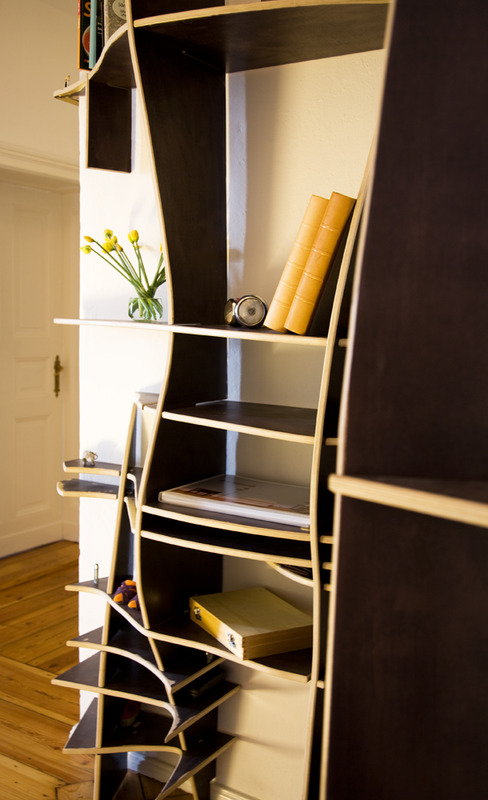 It is designed to store various predetermined items and is not fixed to the wall. 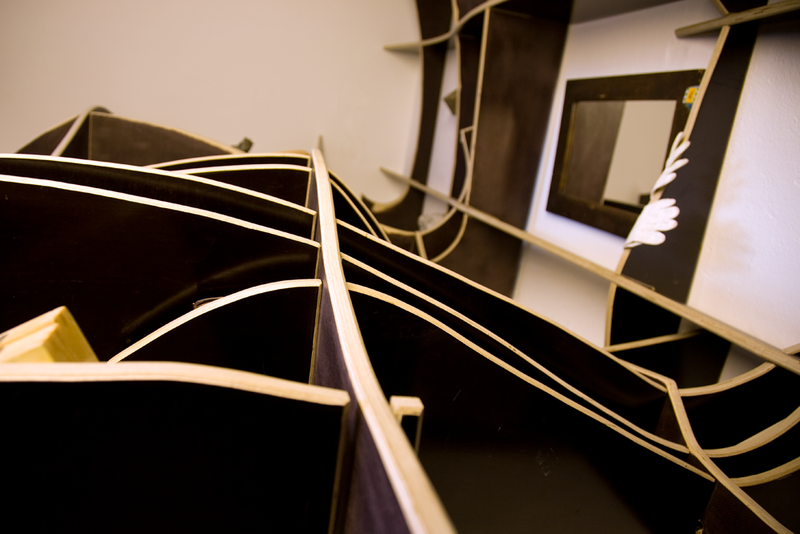 Each of the 33 sections has precisely cut grooves which are used to interlock with each other. Both design and production are hand-made. Together they form a 3D-puzzle which doesn’t use any binders and is structurally sound without being fixed to the wall. Being site-specific built this object can be refitted only in exactly the same space. 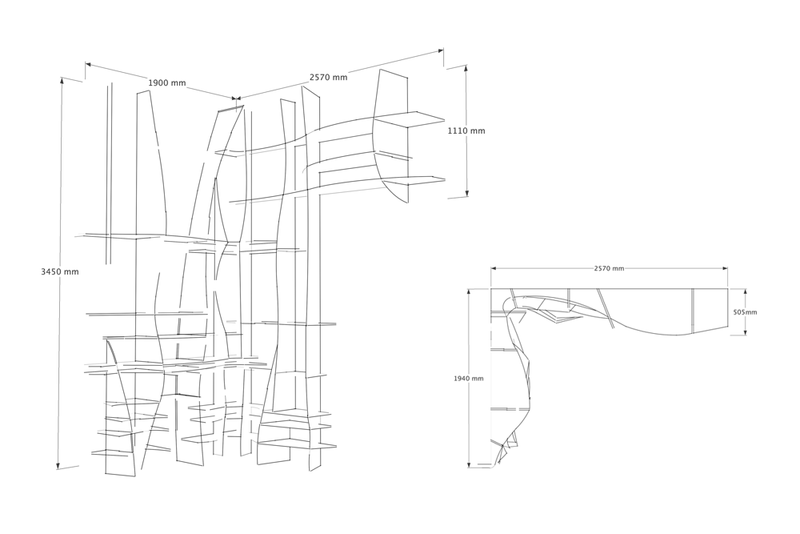 But using the same principle this design is adoptable to any other space, dimension or wall configuration. 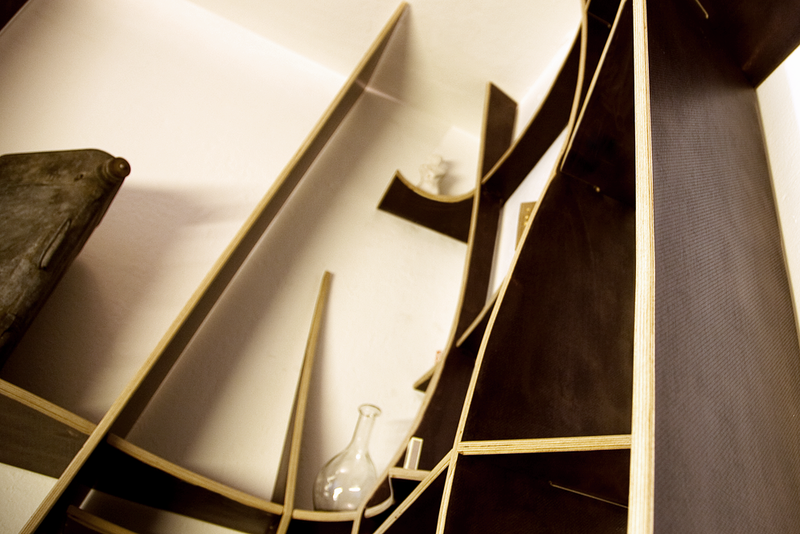 The material used for the shelf is 19mm Multiplex.